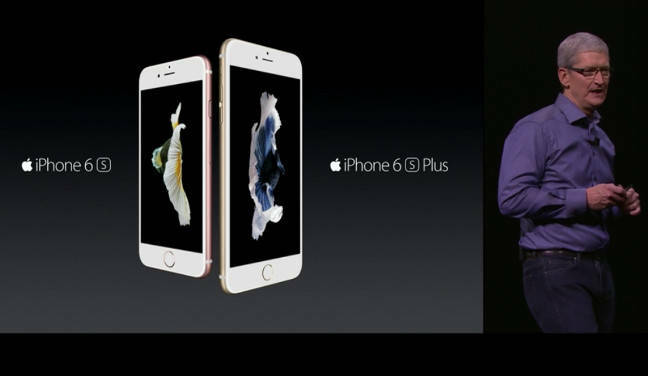 Pics So here are the iPhone 6S and 6S Plus - basically the same phones with a few new bits and bobs. Or as CEO Tim Cook downplayed it: "We have changed everything." The new iThings also offer identical 16, 64, and 128GB capacities, and prices ranging from $199–$399 for the 6S and $299–$499 for the 5.5-inch 6S Plus. Behold ... the exact same phone! Where the 6S will differ is under the hood, where Apple has promised beefier chips and a better camera. The 6S will use the new 64-bit ARMv8-compatible A9 processor (a 14nm system-on-chip from Samsung and TSMC) and M9 motion controller. The 6S also sports improved LTE speeds (depending on your carrier) and faster Wi-Fi connections. Apple marketing head Phil Schiller also noted a stronger screen surface and a new aluminum alloy casing that, Apple hopes, will quell any fears of a "Bendgate" redux. 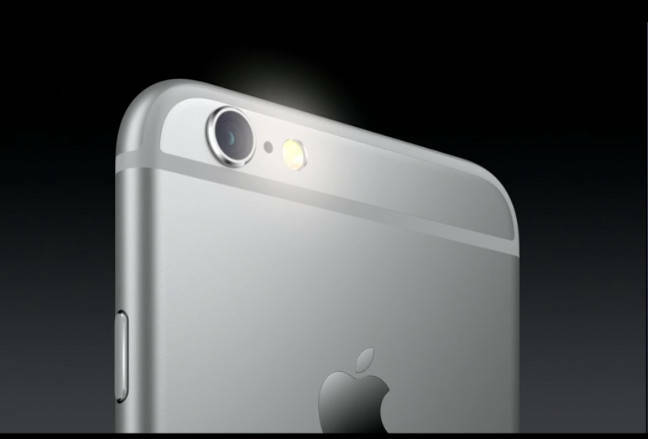 The camera is perhaps the biggest selling point of the 6S over last year's models. The new handset will be able to capture 4K video through a 12Mp camera capable of taking larger-resolution images. The 6S also sports a flash option for the front-facing FaceTime camera, and a new "Live Photos" option that captures images 1.5 seconds before and after you press the button. When you view the snap, you can hold your thumb down to play that three-second capture in a loop, so it looks like a super-animated-GIF with sound recording. We guess the camera app is constantly and silently taking photos so it can capture the 1.5s of images before the button is pressed. Good luck with all this, 16GB iPhone owners. Should people want to make extensive use of those high-res photo and video options, they might want to spring for one of the higher-capacity configurations. 4K video and 12Mp images take up considerably more storage space than you may be used to.